Tea breathes artworks to life! 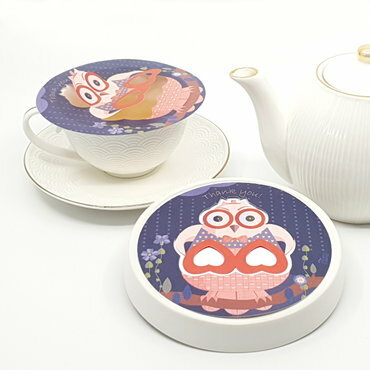 These tea accessories give a smile to all your guests and creates magical teamoments. Your tea breathes the paper artworks to life! They help you to slow down and elevate your mood with every cup of tea. Simply put the wavers on the rim of your steaming tea cup and watch the story unravel. Thé perfect gift to share with friends....and a must-have accessory to present all your tea parties. You enjoy the tea artworks multiple times because steam wavers are reusable! On this webshop you purchase directly from the designer! Living in the moment and paying attention to each other make our lives valuable. Using Steam Waverz, you literally give a warm message to your friends. All our designs are made to uplift the mood, to connect and create a positive mindset. Let the steam waverz be an ancor of a special memory and be a part of your tea ritual. a small artwork and your personal message. Water gives your message lively. What a gift of mother nature! Steam Waverz are made of thin, light and translucent material and reusable. Produced in Europe and printed with food packaging ink which is better for the environment and human. Our packaging has a FSC label. Our greeting cards are printed in The Netherlands on 350 g/m2 paper with FSC label. Shipping costs: Within European Union shippingcosts are 2,00 euro per order to one adress. Inside the Netherlands shippingcosts are 1,00 Euro per order to one adress. The Steam Waverz webshop supports following pay methods: IDEAL, PayPal and CreditCard (3D-secured).